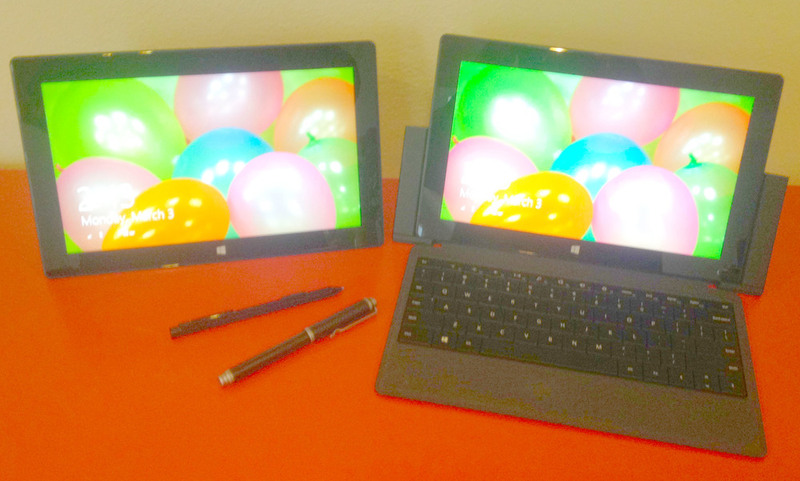 I had just purchased the Surface Pro (left) when I decided to launch SurfaceProArtist.com and posted our first article on March 3, 2013. Less than a year later, the Surface Pro 2, docking station, type cover 2 and Wacom Bamboo Stylus Feel Carbon joined the family. Thanks to all of you regular readers who have responded so positively to our efforts here. Your enthusiasm and encouragement kept me going through the early days when I found it much harder to write copy or attract any traffic. There's always an element of uncertainty when you begin a blogging venture. Will anybody come? Will anybody care? That first month, we attracted under 2,000 page views from a little over 600 unique visitors. Today we more than double that visitor count every day as we're closing in on our first 100,000 page view month. I'm grateful to all of our readers, but I especially want to acknowledge those who have contributed hacks and tips that have evolved into some of this site's most useful and popular articles. I'm having a blast running this site and conversing with all of you via the comments sections, your emails, the Surfacegeeks forums, Twitter, Facebook, and Google+. I learn so much from you every day and I'm constantly inspired by all the great work that you produce with your favorite art tools. Running this site isn't easy and it certainly isn't cheap. Your purchases from the Amazon links and other advertisements on the site are greatly appreciated and, if you feel especially generous, the donation links will help me to acquire new test hardware and software in the coming months. If any of my advice has guided you towards hardware and/or software that you're using professionally or better yet kept you from making the wrong purchase decision, please consider donating a buck or two to help us keep the lights on.